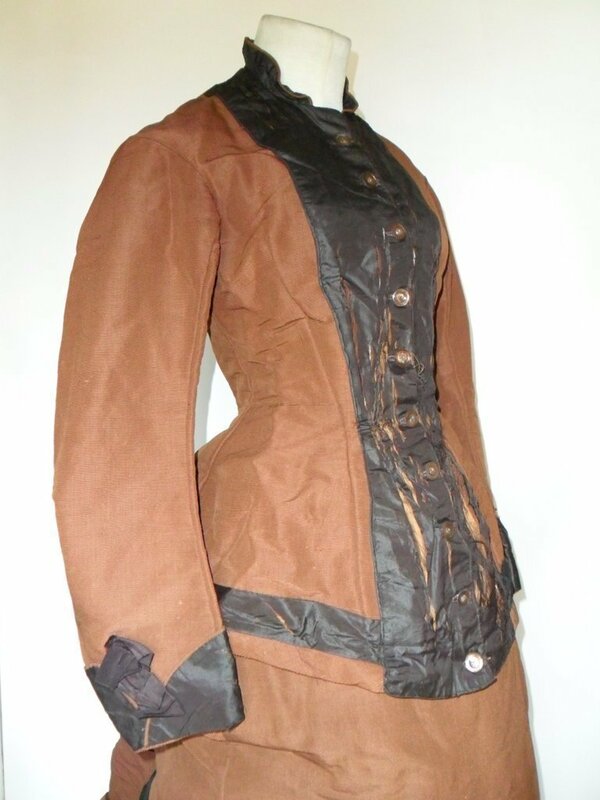 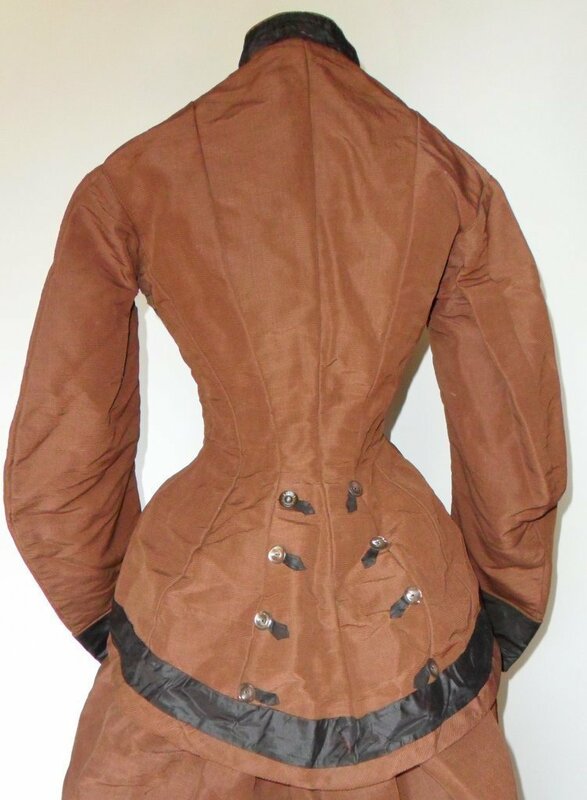 This gown dates to the Victorian 1870’s and is fashioned of a butter brown silk faille, 2 piece in its construction. The bodice buttons closed down the front, rear in a full cap bustle tail. 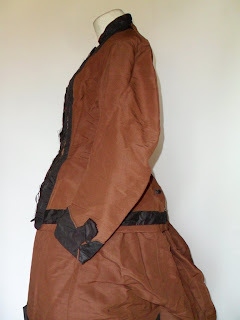 The skirt is layered in apron swags trimmed in silk and fringe, very full rear with bustle form and billows of fabric, rich in full volume. 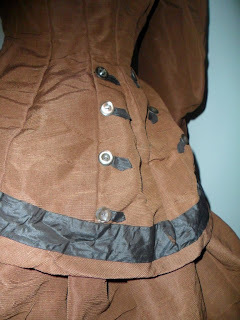 The darker silk taffeta needs to be fully removed and replaced. 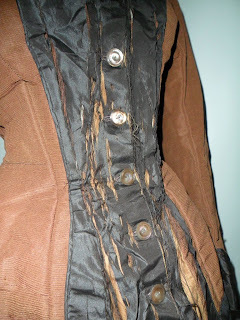 Inner underarms have staining and seen slightly from the outside, stomach panel in the front interior has torn, revealing a bone. The body of the gown, both polished cotton and silk faille are fully strong, easily restored to a pristine condition…wish I had the time. 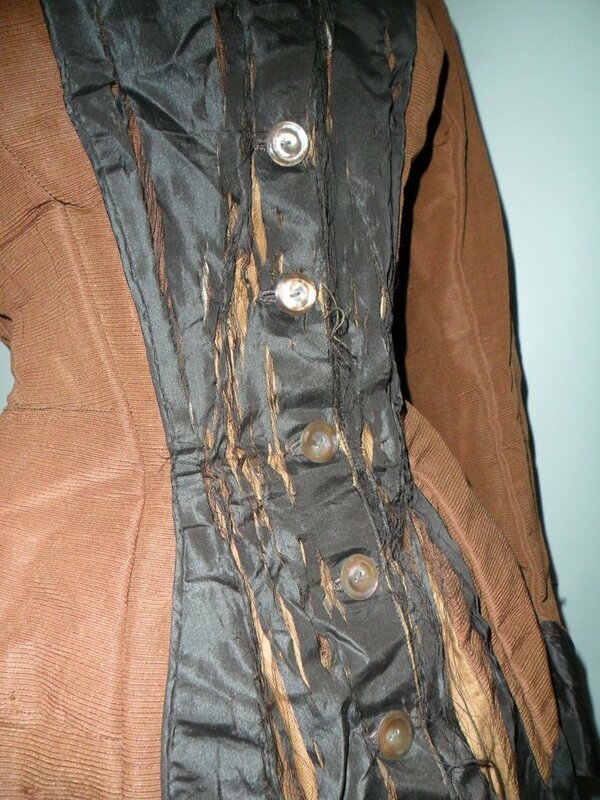 It's too bad the front is shattered but the overall look of the dress is lovely still.